PooPak is a tote dog waste bag carrier designed to discreetly carry your small dog's full waste (poop) bags and other items. It has a clip that can be attached directly to your dog's leash or belt loop. 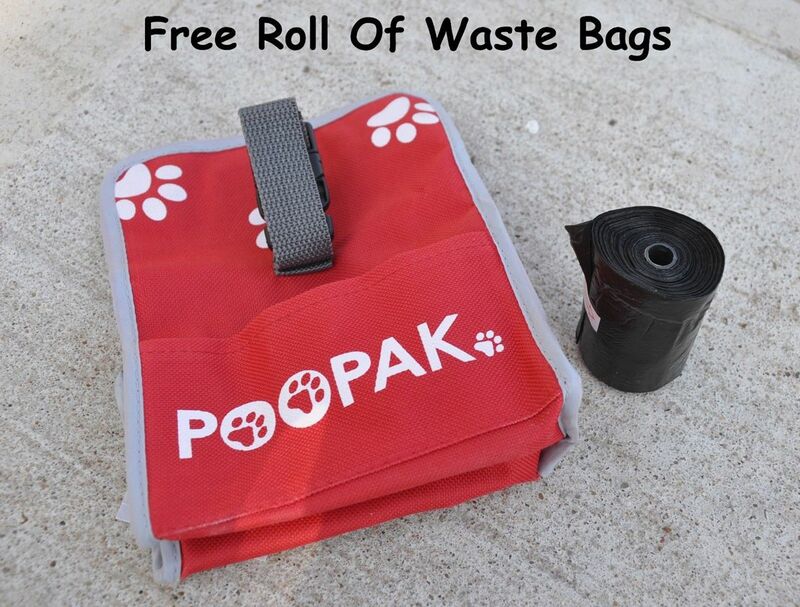 The PooPak also comes with a FREE roll of 20 dog waste bags. There are 2 pockets. 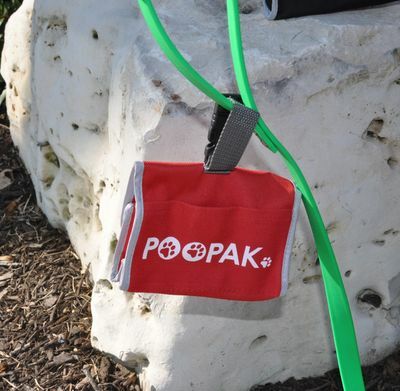 The main pocket is stretchable and designed to hold a full waste bag. It has a velcro closure. The second pocket on the front can carry your waste bags, keys, treats, or anything else you like. They are available in two colors - red or black. 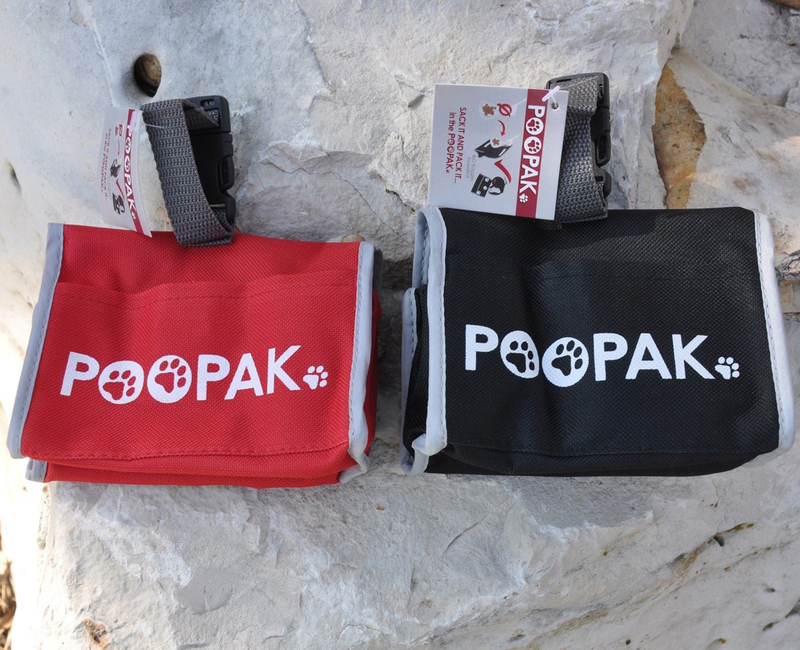 Best for small to medium sized dogs. The dimensions are 5.5 inches by 4.25 inches by 2.5 inches. 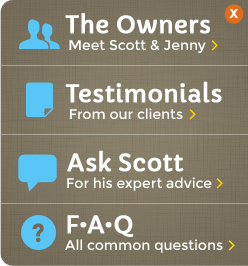 The pocket is expandable and can be stretched. The canvas can be easily cleaned and is lightweight. It also helps to reduce the smell of the full dog waste bag. The dimensions are 5.5 inches by 4.25 inches by 2.5 inches. 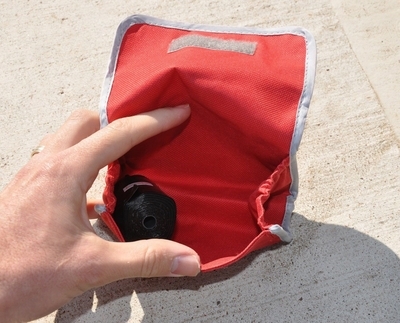 The pocket is expandable and can be stretched.